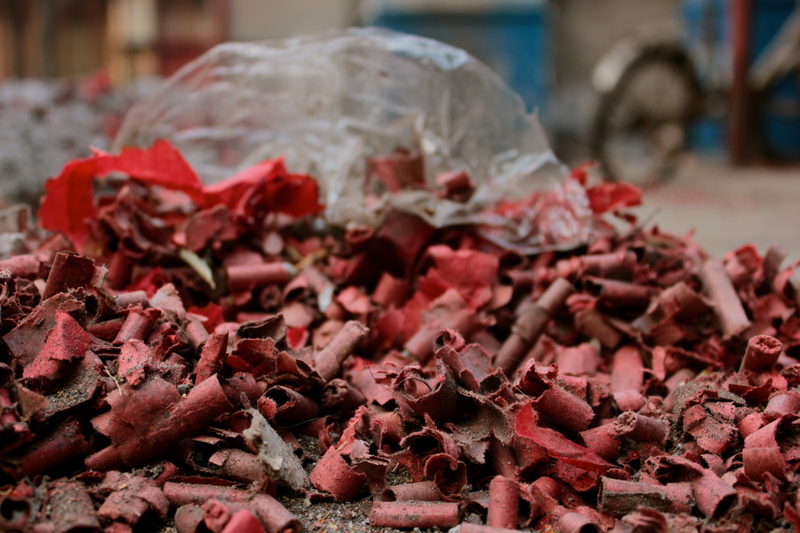 From the uneven dormitory courtyard of an old fireworks factory where I live, scattered paper remnants of the New Years will cluster for some time, vivid red and almost rufous with the dust. 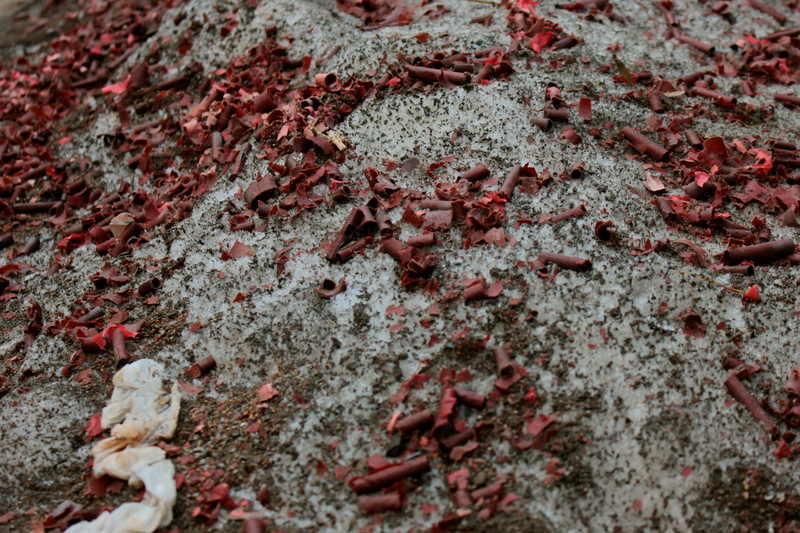 A charcoal frost accumulates bits of sand, the odd discarded cigarette and seed shell. The nighttime’s popping, multicolored war zone of a fête takes short rest breaks amid the drifting shadows of discarded revelry and gunpowder in the following days. Nice shot! 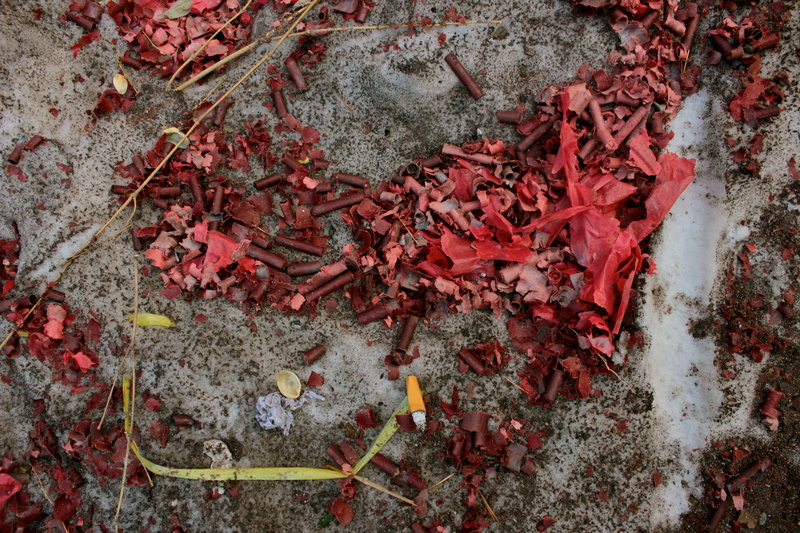 It seems that you and I both appreciate the beauty of the exploded firecrackers. Some how it tells a story of it’s own.